The 5G smartphones were the stars of MWC 2019, and will remain so throughout the year. Incredible download speeds, minimal latency, but also price increases and potential danger by the electromagnetic waves ... there are many things to say and two of our writers have decided to talk about it and give you an answer to the question: should you buy a 5G smartphone in 2019? As its name suggests, 5G is the fifth generation of network technology that makes wireless connections possible. The jump from the current 4G network to 5G will multiply the connection speed, improve latency, and above all, be able to connect millions of devices to each other. Because not only will you notice that your smartphone navigates faster, but it will affect your home, your car, industrial robots ... we have even witnessed the first 5G-assisted operation thanks to this connection. But today we're going to focus on smartphones, and that's why we asked Ben and Dani, from our editorial team, for their opinions. Why is a 5G smartphone interesting? When our smartphones are able to take advantage of 5G networks, we will notice a great improvement in the speed at which we surf the Internet, multiplying the current speed to reach a maximum of 10 GB per second. Bearing in mind that 4G has an average speed of approximately 40 MB per second, that would multiply the speed by 20. This is in theory, as it will depend on many factors, but still, the jump is incredible. Can you imagine downloading the entire season of your favorite series in the blink of an eye? Obviously, companies will have to adapt to this technology by changing their data packages. It doesn't make sense to offer rates with 30 GB per month (for example) if you can exhaust it in a matter of seconds. On the other hand, latency will be reduced to almost imperceptible figures. And what is latency? It is the time it takes to transfer a packet of data, basically the response time it takes from making an action until it is really effective. The 5G will take care of reducing it to one millisecond, so all communications will be virtually instantaneous. And that's why it's so important to have a low latency when playing in a multiplayer mode in Fortnite, for example, if you don't want to get killed at the first chance. In theory (and I insist on the fact that this is purely theoretical), the speed of 5G and its latency will allow actions to be performed on the Internet at an incredible speed. As Dani said, if you have to transfer a large amount of data quickly, a 5G mobile will be very useful: file transfer (downloads, uploads), new games (especially for AR or VR and streaming) and any other activity based on uploading or sending data. The 5G will be a key element in many connected objects, from medical devices to your car. Your smartphone would be one of many devices connected on the same network, with the difference that it could serve as a "remote control" for all the others. We hear voices against and in favor of 5G. We're told that "it's the future," that "everything will change," and that having a compatible smartphone is a first step toward what's to come. That's probably true, for better or worse. The problem is that if the mobile manufacturers are (more or less) ready, the infrastructure and offers are not at all. Who's gonna take care of it? When? I don't know. And for how much money? Will the coverage be good? Like all good traders, big brands are selling us an idea rather than a concept because they still have a long way to go. In fact, the 5G network is not ready. It's that simple. So why are there already smartphones with this technology for sale if you can't take advantage of it? The most optimistic forecasts point to the end of 2019, when the network can begin to be used in certain cities in a very limited way, but to be able to use it normally we will have to wait a little more... Once again, they try to sell us a product that we cannot use to its fullest. So it's just a matter of time? As we said before, the main problem is that the network is not ready, but what about smartphones? The Snapdragon 855 is the first SoC compatible with 5G. To do this, it needs to be accompanied by an X50 modem, in addition to the X24 modem that supports 4G. That is to say, two modems, that added to their antennas, occupy too much space. This, coupled with the large batteries they integrate, is one of the reasons why the first 5G smartphones are so big. Battery life can also be a problem, as in these early devices the 5G connection is expected to terminate quickly. In addition, all this "extra" hardware added to the fact that it is a novelty, is also reflected in an increase in price. 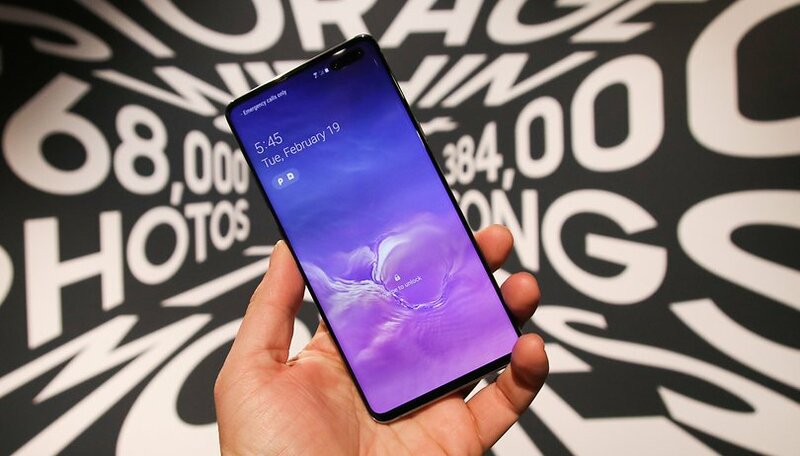 Carl Pei, CEO of OnePlus, already predicted that a 5G smartphone would be $200-300 more expensive, and the launch price of the Samsung Galaxy S10 5G is yet to be seen. Xiaomi, for its part, has released a 5G version of Mi MIX 3 that, in addition to the new connectivity, offers more battery and more storage for a much higher price. Is it worth it? Looking at the models that have already been introduced and those that are on the way, we see a common denominator among all manufacturers: all devices with 5G are high-end smartphones. Until the middle range is reached, 5G will hardly be democratized. Ben: can we trust businesses with 5G? You may think I'm an advocate of conspiracy theory, but I find it quite unfortunate to see wireless technology developing to such an extent. Of course, all this is done under the influence of the big manufacturers, for whom wireless technology is a great source of income and the 5G is the road to a new and more lucrative scenario. But at a time when 4G mobile technology and the whole concept of wireless technology is continually being questioned, it is necessary to see things from another angle. For a long time, we have been wondering if the waves from our mobiles represent a danger. Smartphones are considered potentially dangerous and although the WHO has not had strong evidence to the contrary, this does not prevent other studies from publishing their findings. If this is uncertain, one thing is certain: people with hypersensitivity to waves exist and 5G is going to be a nightmare for them. We will write a more comprehensive article on the possible danger of waves later. Conclusion: do we really need it? So we can rephrase the question as follows: Do you need a relatively expensive smartphone that is compatible with a network that does not yet exist? Assuming you want to buy a smartphone now and maintain it for several years, then it may make sense, but it is not entirely impossible that they are technically not 100% compatible when the network is ready. In short, we do not recommend you to buy a 5G compatible smartphone (at the moment). At the current stage of development, it's more of a marketing strategy than anything else. It is also important to highlight the role that operators play in this situation: they have to test their network and for this they need telephones, so manufacturers have taken the opportunity to attract naive customers. And you, what do you think? Are you going to buy a smartphone with 5G this year or will you wait a little longer? Do you think this network is going to be a revolution as they keep telling us? I can live without 5G for the next 10 yrs. whe the price for service and devices equalizes to 4g levels. And the coverage is there. When all the carrier's are using 5G then I will consider a 5G phone. Prices will drop when everyone is using, and that my friend is still along way off! You may well be right, David. However, every carrier must do his own math in how to turn his huge investment into a profit. I expect my current carrier to offer 5G as it becomes available (and otherwise offer LTE, 4G or 3G as fall-back options) without substantial price differences (either way). He seems to consider speed a selling point for access to his network at all, rather than pricing different speeds differently. Suits me, as I'm sometimes at the outer edges of any network (like sailing off the coast). For me, support for faster connections (cellular, wifi) has already been a cause for replacing devices. The more (or larger) files you're moving around, the more you'll appreciate speed. "We" may not now "need" a 5G smartphone. But if "we" live in a region where 5G is on air (like South Korea, I've heard), or in a region where 5G may well be on air before the end of life of the new smartphone that "we" happen to need right now (well, in 2019), then having support for this protocol(?) may well be a factor to be considered. My provider (T-Mobile in the Netherlands) plans to offer 5G within two years. So, a smartphone that I may buy next year or a tablet that I may buy this year should preferably feature 5G. The other way round: having 5G reception at home would urge me to replace my mifi. Solid point. The timeline of having 5g available is a big factor in whether one should consider a 5g capable replacement or not. Though as David said after you, that might be a while.